The World's First Hoodoo Almanac for the use of Rootworkers, Hoodoos, Voodoos, Spiritualists and all Conjurers in the World of Visibles and Invisibles. Three Kings Day or El Dia de Reyes as it is also known, is on January 6. It is the day that celebrates the Magi who brought three symbolic gifts to the Christ Child in the Gospel of Matthew 2:1-12. The gifts they brought were gold, frankincense, and myrrh. The gift of gold is said to be associated with the sun and heavenly rulership, as well as kingship on Earth. The gift of frankincense is an aromatic resin that has been used in temples and religious rites for centuries as a symbol of priesthood and divinity. The gift of myrrh is said to symbolize mortality and death because of its use as an embalming oil. Myrrh is also associated with beauty because it was used as a perfume and anointing body oil. In addition, myrrh was used for performing sacraments by the Eastern Orthodox Church. 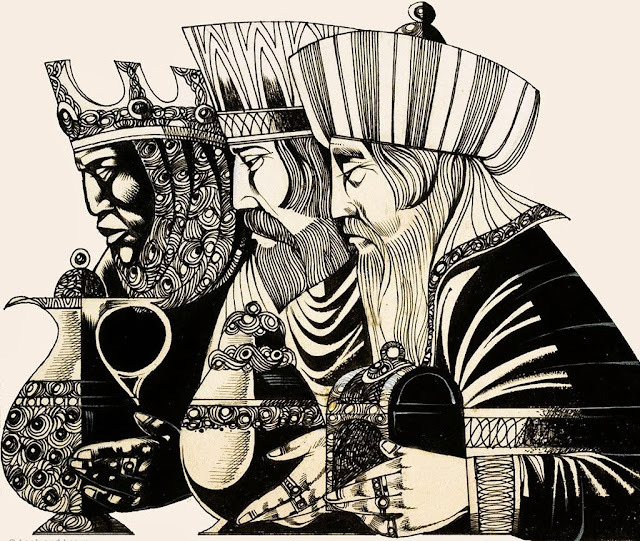 Who are the Three Kings? The answer is that they were Zoroastrian Priests, and that happened to be the world’s dominant religion at the time. If the people were going to accept Jesus as the Messiah and the rightful heir to the Throne of Israel, then he needed an endorsement from the Priests of the world’s largest religion. If these guys accepted Jesus as the Son of God, then who else could say otherwise? (It would be much like the Pope today declaring- officially- that a newly born Buddhist child is the second coming of Christ. It would shake the political world of Catholicism to its foundations). We also find the Three Kings playing a vital role in the 6th and 7th Books of Moses. Therein, the Laws of Entrance (that is, the preparations for performing the primary Rite outlined in the book) require one to ritually purify oneself over a thirteen day period – including Christmas day itself and ending on Epiphany. On Jan. 6th, one must complete the process by attending a Mass of the Three Kings. Later, the book also calls for the use of “Three Kings Holy Water” – Three Kings itself. Finally, when the magick is performed, the names of Caspar, Melchior and Balthazar are invoked directly. To learn more about the Three Kings and the influences of the European grimoires on Hoodoo and modern day occultists, check out author Aaron Leitch’s blog http://aaronleitch.wordpress.com. Just before the sun rises on Three Kings day—January 6—write the letters "C. M. B." and the year underneath the letters over the doors of your home on the outside using blessed chalk (see the article in Hoodoo Almanac 2012 “How to Make Blessed Chalk”). These letters represent Gaspar/Caspar, Melchior, and Balthasar, the Tres Reyes Magos. This is a simple, yet effective, charm of protection. This special holy water allegedly has certain properties, due to the day on which it was blessed. The "consecration with holy triple king's water" is mentioned in The Sixth and Seventh Books of Moses. The use of this water is apparently part of a purification ritual in which angelic presences are invited in anticipation of defeating demonic or negative forces. Author C.R. 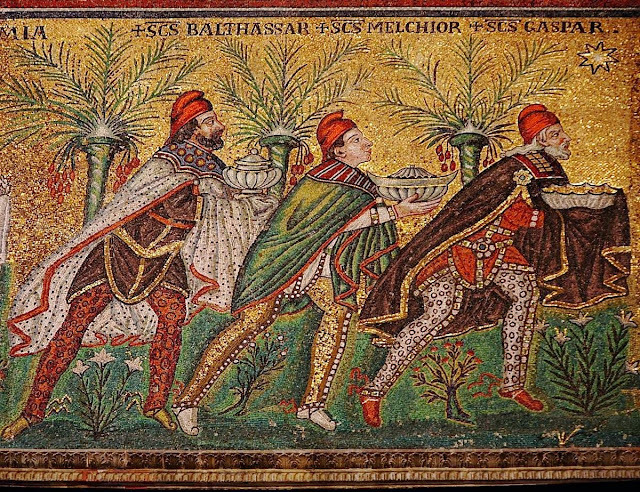 Bilardi stated that the text was probably referring to "Three Kings' Water" blessed on the holy feast day of January 6. Add the above ingredients to the purest olive oil that has been fixed with Vitamin E to prevent rancidity. For an absolutely divine temple incense, whip up a batch of this fabulous aromatic blend. Heat the beeswax in a glass container over warm water. Slowly add the sweet almond stirring constantly. Take the ointment out of the water and let it cool for about a minute before adding the essential oils. Blend well. Add a teaspoon of distilled water and stir well. Put into little glass jars and close tightly. If kept in a dark, cool place the ointment will last about 3 months without the added preservative. With the preservative it can last a year or more. 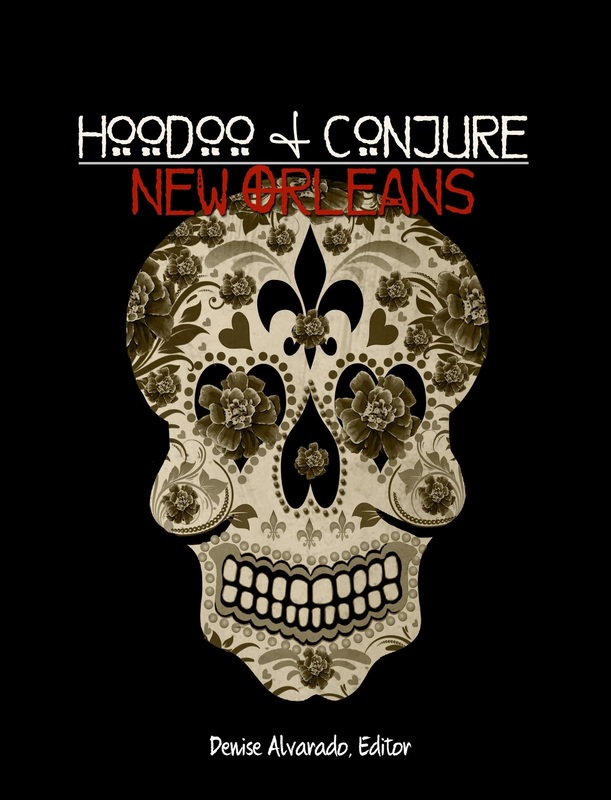 Published in the tradition of respected almanacs over time and throughout history, Hoodoo and Conjure's Hoodoo Almanac 2012 is a new source of wisdom and Hoodoo lore for rootworkers and conjurers around the world. We bring to you a true Southern perspective of folk magic and folklore as only those who have lived and breathed it can do. And to you ... I have my frankincense, myrrh (natural incense) and a wonderful oil that I got from an outstanding Santeria house ... "Gold Essense" ... 'cause it's COLD here and I didn't go to get gold leaf ... all ready to go. I so appreciate the information ... and encouragement to *Honor* the Power in this way! Copyright 2012-2013 HoodooAlmanac.com. All rights reserved worldwide. Watermark theme. Theme images by mammuth. Powered by Blogger.